Launch of the international exhibition “FUORIDILINGUA” – “ESTIRANDOLINGUA” in Milan. 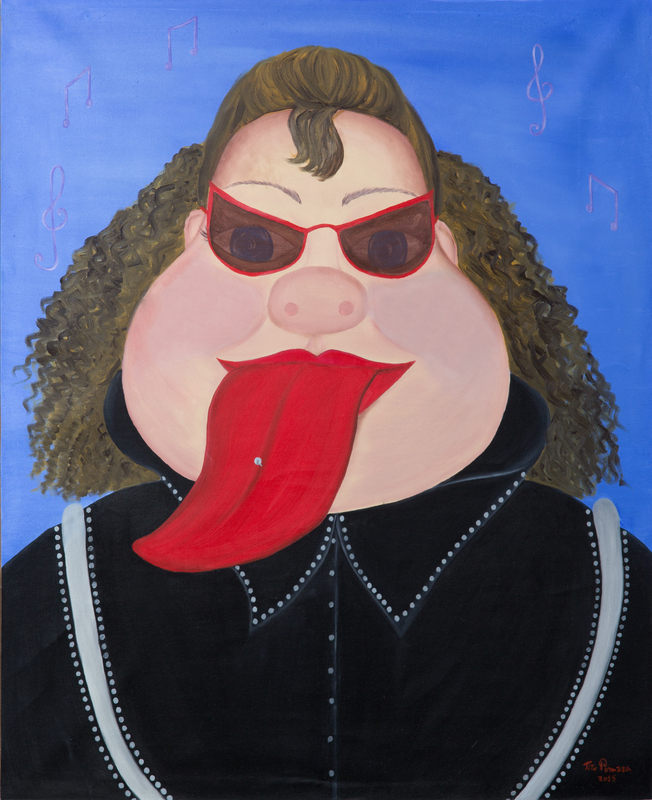 From 12 to 20 September at the Italian Village Makers in via Tortona, 60 works detailed are exposed, witty, irreverent and surreal created by Brazilian and Italian master, inspired by “language” of the Rolling Stones, recognized symbol of music, but also transgression of closeness between peoples. The art exhibition was born in 2014 in Milan as a provocation of 30 Italian artists who have reinterpreted the famous “LANGUAGE”, conceived by John Peaches in the 70s for the Rolling Stones, with their works, representing the essence of artistic rebellion as a model and way of life or as a free interpretation of his soul “Rock”. The exhibition of 61 artists (31 Italians and 31 Brazilians) selected by an international jury as well as by critics and art experts, is protagonist of an Milanese event supported by collateral musical and artistic performances. With this work the Brazilian painter Tito Porazza, recently moved to Brussels, want to emphasize the individuality and selfishness of the human being in the world today. The appearance of the woman rocker and musical notes do not hide a direct criticism of the human being can often behave more animalistic than any living being. His figurative style reproduces scenes of everyday life and of his imagination with some criticism, but always with bright colors and malice in the depths of his eyes. “As gordinhas ¨ present in his paintings, symbolizes his cry against the imposition of measures in the fashion world, as well as its concern regarding food consumption exaggerated.